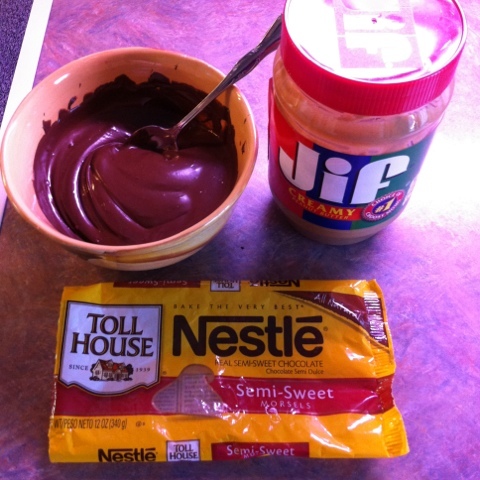 This recipe is THREE ingredients and it makes an awesome candy in less then 30 minutes! 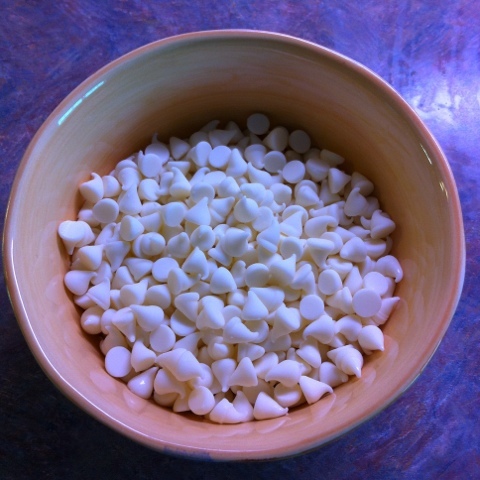 Start by heating your semi sweet chocolate chips in the microwave for 30 second intervals, stirring after each heating. Once the chips are liquified, stir in 1/3 cup of peanut butter. Then spread over wax paper that is laid out on a cookie sheet. Place in the freezer to harden while you do the next step. Place white chips into a bowl. Heat in microwave for 30 second intervals, stopping to stir after each heating. 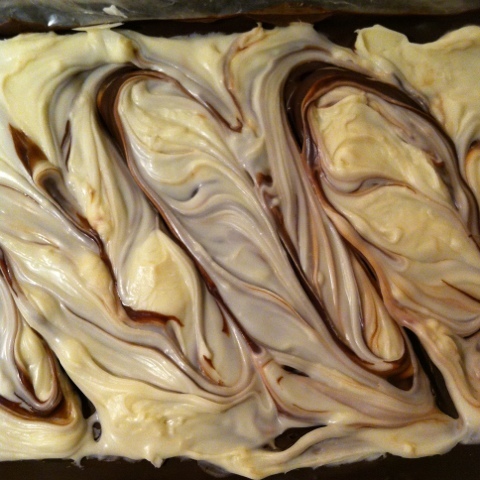 Once it's heated the entire way through you can spread the white chocolate over the slightly frozen dark chocolate. What this does is allow you to spread the white without it mixing, but the heat from the white will start to melt the dark so that by the time you are done, you can run a knife through both and create a lovely swirl effect.